For further information or to clarify any doubts, you can contact ENG & LIFE, LDA by e-mail at INFO@TUKDREAMS.PT, if you prefer, by phone +351917488674. 3.1. These Terms and General Terms of Sale regulate exclusively the purchase and sale made in the online store of Tuk Dreams, between the Final Consumer as buyer and ENG & LIFE, LDA as a seller, all visitors to the site www.tukdreams.pt, as well as to any commercial transaction made through this online store. 3.2. The navigation in the site, as well as the purchase of any reservation in www.tukdreams.pt, implies the acceptance of the present general conditions of use and contracting. 3.4. ENG & LIFE, LDA reserves the right not to process any orders received from users other than End Consumers or those that do not comply with the general conditions of sale of ENG & LIFE, LDA. 3.5. The final consumer shall provide ENG & LIFE, LDA, as seller, with a correct and complete e-mail or postal address or other contact details, and accept that ENG & LIFE , LDA (a) may contact you using such data, if you deem it appropriate. 4.1 The www.tukdreams.pt website is intended for private use only, so the reproduction, transfer, distribution or storage of the content of the online store without prior written permission is prohibited for any purpose other than strictly personal use. 4.2. It is expressly forbidden to introduce links to our website for commercial purposes or without previous authorization of ENG & LIFE, LDA, as well as the use of the domain www.tukdreams.pt for abusive purposes will be susceptible of recourse to the competent legal means by ENG & LIFE, LDA . 4.3. In the event that you find links that allow you to access www.tukdreams.pt in other sites or references to the online store, we inform that ENG & LIFE, LDA does not have any responsibility on the links or pages, nor on the contents inscribed in them. 4.4. We are strongly committed to ensuring that the information presented on www.tukdreams.pt is free of typographical errors and will correct them as soon as possible whenever they occur. 4.5. All contractual information is written in Portuguese, as well as the information of the articles, communications by e-mail and formalization of the sale. 5.1. In the event that the information presented does not correspond to the characteristics of the reservation, the Client assists the right to terminate the purchase and sale agreement in the applicable legal terms. 5.2. The photographs presented on the website are merely illustrative. Therefore, we recommend that you check the reservation detail for more information about the characteristics of the articles you wish to purchase. 5.3. Booking prices and specifications are subject to change without notice. Despite the extreme attention of ENG & LIFE, LDA to keep all information updated, some reservations may contain an incorrect price, so we will check the prices whenever we proceed to the treatment of reservations. If the reservation price is less than the advertised price, we will refund the difference. If the price is higher, we will inform the Final Consumer by email and we will await your decision to accept the new proposal or cancel the order. 5.4. The catalog of reservations of the online store is independent of the physical store, both in the price level, the level of the presented reservations and quantities. All promotional campaigns have a limited stock and are unique to the online store. 5.6. All data registered by ENG & LIFE, LDA constitute proof of the set of transactions carried out between the Seller and the final Consumer, and it is the responsibility of ENG & LIFE, LDA to file the electronic document in which the contract is formalized, obliging to keep it handy. 6.2. The final consumer is the only one responsible for the accuracy of the personal data communicated to ENG & LIFE, LDA and undertakes to immediately insert and report any change through its registration account at www. tukdreams.com. 6.3. ENG & LIFE, LDA disclaims any liability for possible delay or impossibility of processing the order due to error or insufficiency of the data communicated by the Final Consumer, namely at the time of delivery. 7.1. To place an order at www.tukdreams.pt com it is necessary that the user has a valid and frequently used e-mail account and that registers as a TukDreams customer, filling the form available online. Once registered, simply enter in the virtual shopping basket all the reservations that the Final Consumer intends to purchase, following all the steps of the purchase so that it is completed successfully. – Browse the pages of the online store and find the reservation (s) you want to purchase. – Add preferred bookings to the Shopping Basket by clicking the Add to Basket button. – Once you understand that you have already chosen what you want to purchase, please complete the purchase by clicking Finish. – Then fill in your personal data in a very simple form (very careful filling in the address). – Then select the mode of payment. – Proceed with payment, confirming the order. – Finally, you will receive an order confirmation via e-mail. – When you select the Exit button, at the end of the purchase process, your order is confirmed and you only have to wait for a contact to schedule the departure location of the selected tour. 7.3. As soon as you complete your purchase, you will receive an automatic email confirming the transaction. We suggest you print or download this copy for future reference. If the data is not correct, you can immediately request its modification or until the cancellation of the purchase made. 7.4. In case of non-confirmation of payment or non-compliance with these General Terms and Conditions of Sale, ENG & LIFE, LDA reserves the right not to accept your order or to cancel it in whole or in part, even after its automatic confirmation. 8.1. ENG & LIFE, LDA only processes an order placed by a customer upon confirmation of their payment, and therefore can not guarantee the availability of the items until the beginning of the processing. 8.2. Satisfaction of all bookings made on the site is subject to availability of bookings. ENG & LIFE, LDA tries to ensure that all items offered for sale on the site are available. However, ENG & LIFE, LDA reserves the right not to accept any reservations or cancel reservations already confirmed for reservations that are not possible to satisfy. In case of unavailability of the reservation, ENG & LIFE, LDA will inform the Final Consumer immediately of the partial or total cancellation of its order, being that the buyer is entitled to the refund of the amount paid . 8.3. After confirming the order and payment, we will directly confirm the place of departure for the contracted service. 9.1. ENG & LIFE, LDA may not validate the order that does not have sufficient guarantee of good collection, when the order is incomplete or incorrect, or when the ordered bookings are no longer available. In any of the above cases, ENG & LIFE, LDA will inform via e-mail the Final Consumer that the sales agreement has not been made and that ENG & LIFE, LDA did not proceed with the sale, specifying the reasons for doing so. 9.2. If the reservations ordered on www.tukdreams.pt are not available at the time of your last access to the site, even though you have obtained the order confirmation, or when ENG & LIFE, LDA receives your order, User (a) on the unavailability of the same, never exceeding the deadline of 30 days after the receipt of the request. – If you consider that the Buyer did not have the capacity to perform that act. – If it is assumed that the order comes from a dealer. 10.1 No refunds will be made once the tour or service has commenced. 10.2 Canceling a reservation with ENG & LIFE, LDA may lead to the application of cancellation fees by ENG & LIFE, LDA, according to the following sections. When canceling any reservation, you will be notified by email, fax or telephone regarding the total cancellation fees. a) If the cancellation occurs at least 7 calendar days in advance, there will be no cancellation fee. b) If the cancellation occurs between 3 and 6 calendar days in advance, you will pay a cancellation fee of 50%. C) If cancellation occurs with 2 calendar days in advance, you will pay a 100% cancellation fee. 11.1 The available forms of payment will be presented at www.tukdreams.pt. 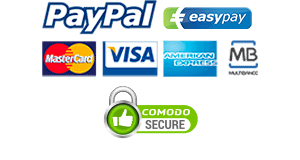 We do not accept any payment methods other than those mentioned. 11.2. You can pay your reservations using your usual credit and debit cards, through the Easypay payment system, or using your personal Paypal account. You can also pay your order through Multibanco, and you will be provided with all the necessary instructions for this mode of payment (entity / reference / total value). 11.3. For payments using credit or debit card, all details (such as card number, expiration date, or security code) will be sent by the Encrypted Protocol to the company that provides the remote electronic payment services, Easypay, without access to the information transmitted. This information will not be used by ENG & LIFE, LDA, except to carry out the necessary operations for purchase or refund, in case of return in accordance with the exercise of the right of return, or for reporting to the police of cases of fraud. 11.4. If the Final Consumer chooses the payment by Multibanco, we will only begin the treatment of the order after having received the payment. Therefore, in this mode of payment, we advise you to contact Caixa Multibanco as soon as possible so that you receive your order as soon as possible. Once 2 calendar days have passed since the order was placed, and if we have not received any payment, the order will be canceled. 12. SECURITY OF ONLINE STORE AND ALL TRANSACTIONS. 12.1. The online store utilizes the latest and most robust security technologies available for encryption platforms. All payment information you provide will be encrypted from the time of your initial transaction to the time the order is processed and will not be stored on any public server. 12.2. Although we use highly evolved encryption software, any payment transmitted over the Internet, or via e-mail, carries some risks, especially when the User does not take the necessary precautions and does not assume the proper conduct of responsibility. 12.3. ENG & LIFE, LDA shall not be liable for any damages suffered as a result of the use of electronic means of communication, namely damages resulting from failures or delays in the delivery of electronic communications, interception or manipulation of electronic communications by third parties or by computer programs used for communications or virus transmissions. ENG & LIFE, LDA holds ownership of the company’s reserves until it has received full payment of all such reserves. 14.1. The prices of the services displayed on the site contain / carry the Value Added Tax (VAT). 14.2. The final price will be displayed after all the options have been set. The online system immediately calculates the final price that will be displayed at the time of final order confirmation. 14.2. The total price specified in the final menu includes taxes. Prices are quoted at the time of order confirmation, which you can print or download for future uses. Please only transfer the exact amount specified in the order confirmation and make individual transfers by order. 14.3. The prices are all broken down in Euros and any change in the country of delivery of the order may have influence on the prices due to the transportation costs. 15.1. ENG & LIFE, LDA will only market high quality services at www.tukdreams.pt and never of inferior quality to the standards in the market. 16.1 Prior to shipment, the Buyer may cancel the reservation order. If the User places an order and wants to cancel it, he / she must first check the status of the order through the My Account menu in the upper right corner of the main page of the site, if the order status states Registered, then there is a possibility that it will still be canceled. To do so, the User must contact our Customer Service and request the cancellation of their order. 16.2. If the cancellation request is successful, the customer will be notified by email of this decision and the cancellation will be processed at no cost to the customer. 16.3. Upon confirmation of cancellation, in case you have already paid, your refund will be processed within 5 business days. 16.4. The return form will be the same as the means of payment, except the payment by ATM that will be returned by bank transfer. 17.1. When used according to the established rules, a promotion code enables the user to enjoy a promotion / discount for the purchase of a specific reservation or for a set of reservations, during the indicated period / associated with the promotional code / promotional campaign. 17.2. Promotional codes are personal and non-transferable and can only be used for online purchases made on the site. The sale, exchange or donation of a promotional code is not allowed. The customer carrying the promotional code can not upload or make available a promotional code on any website or other public form of offer, donation, sale or exchange. The use of promotional codes for commercial purposes is not allowed. 17.3. The use of a promotional code is subject to reservation and ordering only. Promo codes can not be combined with any other promotions or special offers. 17.4. Promo codes can not be redeemed for cash and will not be reissued or refunded. 17.5. Without prejudice to any other rights, ENG & LIFE, LDA reserves the right to immediately invalidate the promotional code issued if it suspects that a promotional code is being used in violation of the abovementioned assumptions. 18.1. Promotional offers or commercial campaigns posted on the site are valid only for the moment they are displayed on the site and according to the conditions established, unless otherwise communicated on the site. 18.2. In the event of cancellation of the purchase made in the course of commercial campaigns or promotions, you will be credited or given only the amount that you actually spent on the purchase of the part you intend to return or exchange. 18.3. The conditions for the return of reservations made in the campaign / promotion period can be changed and mentioned in a menu created specifically for this purpose. 19.1. ENG & LIFE, LDA will only be liable for the damages suffered by the Buyer in the event that such damages result from violations attributable to the contractual obligations of ENG & LIFE, LDA before the Final Consumer, or in the case of liability applicable law. 19.2. In the event that the Buyer has suffered damages related to the activity of the site, the liability of ENG & LIFE, LDA shall be limited to damages in the reserves and at reasonable and verifiable costs incurred by the Buyer due to the violation by ENG & LIFE, LDA of these Terms and General Terms of Sale. 19.3. ENG & LIFE, LDA shall not be liable for damages suffered by third parties resulting from the use of any of our reserves. ENG & LIFE, LDA shall not be liable for damages suffered by the Buyer as a consequence of improper use of our reserves. 19.4. ENG & LIFE, LDA shall not be liable for damages resulting from incorrect information on the site. 19.5.All reserves marketed by ENG & LIFE, LDA are in accordance with Portuguese and Community legislation. 20.1. All texts, comments, works, illustrations, works and images reproduced or represented on the site are strictly reserved under the copyright and intellectual property rights, all over the world. 20.2. Accordingly and under the terms of the Intellectual Property Code, the use of information for private purposes is permitted only subject to contrary provisions including more restrictive provisions contained in the Code. 20.3. Any reproduction or total or partial representation of the site, in whole or in part, of the elements included in it is strictly prohibited. 20.4. The corporate names, trademarks and distinctive signs reproduced on the site are protected in accordance with the legal provisions applicable to industrial property. Reproduction or representation of all or part of any distinctive signs is strictly prohibited and must be the subject of prior written consent of the proprietor of the trademark Tuk Dreams. 20.5. If the user wishes to use information or materials of the site, he / she must obtain prior written authorization from ENG & LIFE, LDA. 21.1. These General Terms and Conditions of Sale and all emerging litigations that are related to these general conditions, including their validity, use of the site or any purchase thereof should be governed by Portuguese law. 21.2. In the event of a dispute regarding the interpretation or execution of these Conditions and General Terms of Sale, ENG & LIFE, LDA and the Purchaser undertake to endeavor to obtain an amicable solution, which is fair and adequate, within the term maximum of 60 (sixty) days counted from the receipt of the communication addressed to that effect by any of the parties involved. 21.3 In the absence of an amicable settlement, in accordance with the provisions of the preceding paragraph, and in case of non-compliance with these Terms and General Terms of Sale, both parties shall establish a waiver of any other as the competent court of the Common Court of the District of Lisbon. ENG & LIFE, LDA has the right to change these Terms and General Terms of Sale at any time. The Purchaser is subject to the principles and terms in force at the time of ordering, unless the law or competent authority imposes any changes thereto.